In the somewhat altered words of Steven Tyler, “it’s a-maize-ing.” And I’m not just referring to Aerosmith’s extremely long career, or Tyler’s obsession with scarves, but I’m also talking about the savory, sweet, and ultimately flexible culinary properties of a fresh ear of corn. While this vegetable may be best known for its simple work on the cob, there are many ways these little kernels can fill your plate – as a side, as a snack, as an entrée, and as a sweet treat to end the day. And as such, I’m planning to write about this ancient crop, and only this crop, next week. But let’s back up a bit and take a second to appreciate my obsession with corn. As a child, I knew it was summer not because the school bell stopped ringing, nor because the afternoons became longer and the sun hotter. I knew it was summer when my dad came home with fresh cracked crab from the local seafood house, artichokes from the grocery store, and milky white corn from my grandfather’s garden. It was a taste and olfactory alarm clock that could not be denied. A town crier that screamed the good news – the summer solstice had arrived. 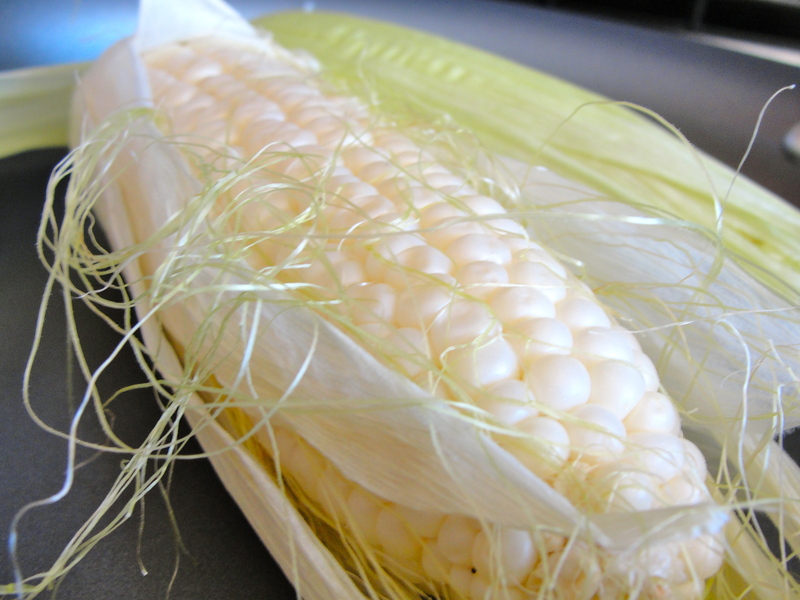 This year, however, stormy weather and cold fronts hit the snooze button for a few months and, while there were still some nights of shucking and boiling, most of my corn came from a frozen bag. Zero sodium, good flavor, but just not the same. Like sitting in a blow-up kiddie pool instead of screaming down a water slide. But on the horizon, there was husking hope and I began to notice corn recipes cropping up all over the internet fields: Hogwash’s New Lobster Chowder with Corn Stalk; Daily Dish’s Corn & Potato Chowder; and Low Sodium Adventures in Cooking’s Scalloped Corn. With all this cyber buzz, clearly this stalky crop’s ears were burning (bam – corn joke) and I was listening. So, as I already revealed earlier, next week will be filled with corn recipes. And the best news is that you – yes you – get to decide the final menu. Just take part in the poll below to weigh in on which corn-based, Salt-Free My Recipe you want to see. In the meantime though, let me leave you with something simple and delicious for the weekend. Forget about the savory and let’s focus on the sweet. Close your eyes and imagine for a second that you are off to the movies this weekend, a picnic in the park, a county fair, or a football game as the season kicks off. You have everything you need to enjoy your day – a hat, sunscreen, a sweater in case the theater gets cold – but your hands seem to be longing for something. Mittens? No way. A hand to hold? Nah, this weather is a case for sweaty palms. Popcorn? You betcha! Now, while freshly popped popcorn (i.e. you, some kernels, and a pot over medium heat) has no sodium, it does require either a microwave or a stove and, of course, some creativity. I’ve enjoyed many homemade bowls of this airy treat, dressed up in flavored olive oil, browned butter, and spices (like cayenne, cumin, herbs, and even curry). But sometimes, you just want something that comes ready-to-eat. And low and behold, with enough praying and patience, another low sodium wish has come true and yesterday, at my grocery store Mecca (thank you, Whole Foods), I found a huge bag of salt-free, cinnamon sprinkled popcorn. 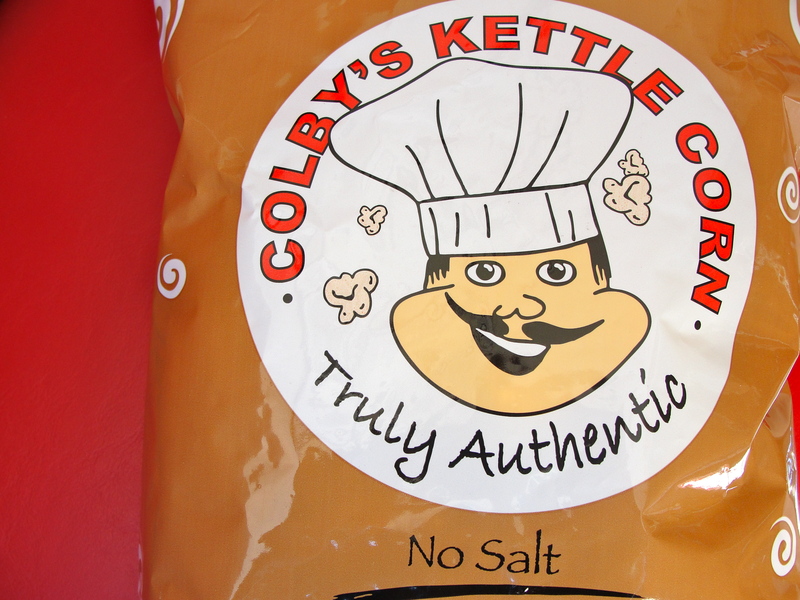 With a whopping zero mg of sodium per serving, Colby’s Kettle Corn is truly authentic (only three ingredients) and each crisp, bite is truly delicious. Colby’s makes a point of being, as they say on their website, the “low sodium popcorn for those watching their salt intake.” Their product, and purpose, is greatly appreciated by the low-so community and as a side-note, their popcorn is also totally addictive and I suggest buying a complimentary bag clip in order to stop yourself from consuming the whole thing. So that, my friends, is just the start of an exciting week of corn – baked, boiled, fried, and popped. And to make future posts even more exciting then these sugar dusted fairy nuggets you see in the picture above, take the poll below and let your low sodium voice be heard. Better than a rumbling tummy. Have a great weekend and chow on! Love it! And I feel HONORED to bear a mention. Thanks, SG! 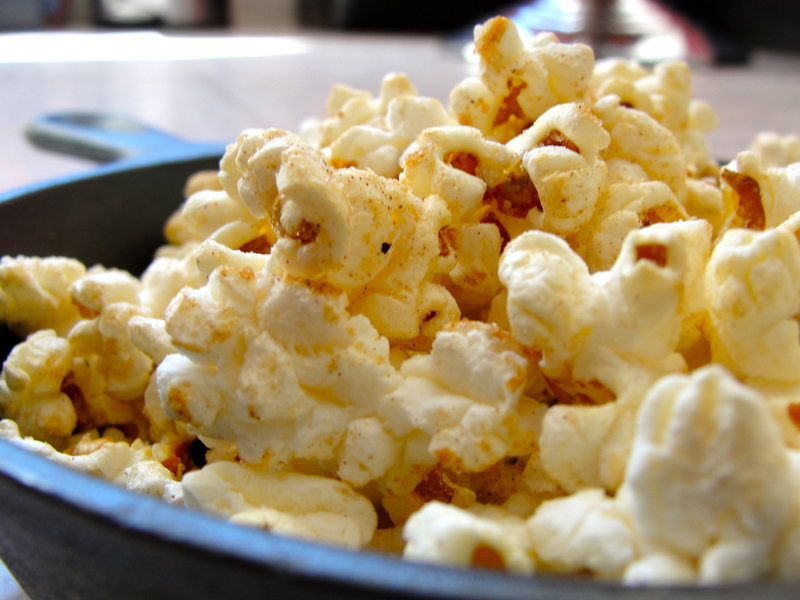 Both for that, as well as the heads up on Colby’s Kettle Corn (a perennial New England favorite). Now. off to Whole Foods~ Huzzah! If the Corn and Lobster chowder wins, can you mention what someone who is allergic to shellfish could use in place of the lobster? Of course! Because as Sodium Girl, I can’t eat much shellfish anyways (only an occasional clam or pacific oyster). So vote away and let me know which recipe you want to see! So awesome to have you be a part of this movement. Look forward to a more robust “profile” in the near future. Excited about our new bloggership (blog partnership)!